Bella Mar has been providing rejuvenating and relaxing treatments for Ventura County locals since 20013. From skincare to body care, waxing and massage tan, clients leave refreshed from the pampering services this spa lounge offers. Book your haircut, blow dry, hairstyling or beauty appointment. 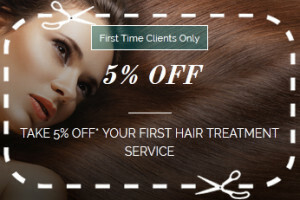 Book your haircut, blow dry, hair-styling or beauty appointment.